Welcome to The Maitland Clinic. As one of the leading UK hair transplant clinics, we help both men and women in the UK with our hair restoration procedures. We are an ethical and honest clinic with an ethos of transparency. With an excellent reputation for patient care, both before and after surgery (simply Google us and our lead surgeon Dr Edward Ball to see for yourself), we provide an excellent service for those seeking a London Harley Street hair clinic. When choosing a reputable Harley Street hair clinic you should take your time and do your research into the surgeon. The Maitland Clinic is one of the UK’s leading hair loss clinics, and we have huge amounts of reviews and testimonials already online; not just on our website, but also on independent review websites. Before we tell you a little bit more about us, why don’t you check for yourself? By opening a new browser window on your computer go onto Google and search for Dr Edward Ball, who is our founding surgeon. Also do a search for The Maitland Clinic. You will find plenty of testimonials online, none of which we have paid for or faked, all of which are 100% genuine. Because of this superb reputation that we have, it means many patients visit us on Harley Street or at our south coast hair loss clinic to have a consultation with our specialists. Our hair clinic on Harley Street is where many of our UK, London and international patients will have their first consultation. When you visit us you will meet with Dr Ball himself, or with David Anderson, our senior patient advisor. Both Dr Ball and David have had hair transplants themselves, so are very aware of the concerns and questions any potential patients might have. You can read up more about them on the following links which will give you a great background on who they are, their history in the field, and our approach to patient care. In addition to the profiles of our staff above, we also have the video below which serves as a fantastic introduction to who we are and how we work with new patients. 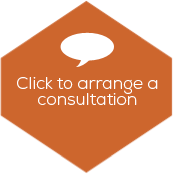 Before you start the consultation process it makes sense that you will want to have an idea on costs, and how much you might have to pay for treatment at our Harley Street hair loss clinic. We’ve created a page which has an overview of what your treatment might cost, although these are only estimates, as each patient will have different requirements. To find out more about how our costs work please visit this page: Harley Street Hair Clinic Costs & Prices. If you would like to talk to us about your hair loss and the available treatments we offer, more of which can be found on our treatments page, then please do contact us to arrange a consultation. The Maitland Clinic is conveniently located in London at our Harley Street address which you can see below, and also on the map.